“The Socialite” lives a chic life filled with fashion and style. 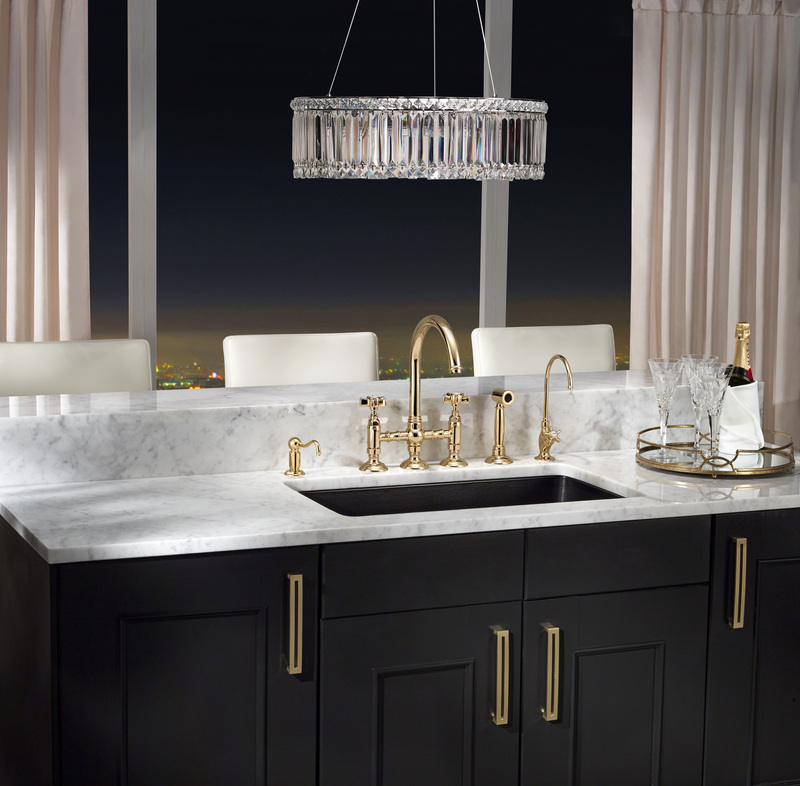 Her “water appliance” is all about timeless glamour, making a dramatic statement. 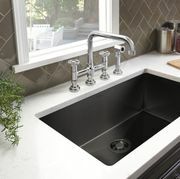 Featuring a Country Kitchen Bridge Faucet with Sidespray, Soap Dispenser and Country Kitchen Filter Faucet in a spectacular Inca Brass finish, she has created a stunning accompaniment for the ultra elegant Matte Black Allia Fireclay Single Bowl Sink. This “water appliance” is all about the WOW.